Comcast Spectacor to build $50M 'Fusion Arena' for Philadelphia Fusion – AiPT! The 3,500 seat “Fusion Arena” will begin hosting fans in 2021. Comcast Spectacor and The Cordish Companies have announced a plan to construct a $50 million esports arena for the Philadelphia Fusion, and will begin hosting matches for the Overwatch League in 2021. Designing the venue is sports and entertainment architecture firm Populous, the group behind the design of the T-Mobile Arena in Las Vegas, San Francisco Giants’ Oracle Park, the new Yankee Stadium, and the London Olympic Stadium. In addition to hosting the Philadelphia Fusion’s Overwatch League matches, the venue will also host other esport events and music concerts. 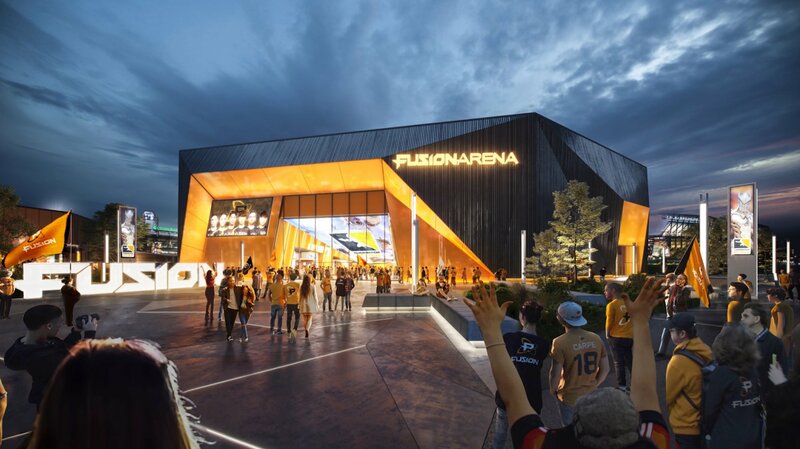 The 60,000 square foot arena will include the 3,500 seat event theater, an event production and operations center, team offices, as well as a state-of-the-art 10,000 square feet training center for the Fusion team. The Fusion currently live and practice in Los Angeles, so the new facility will keep them in their home city nearly full-time. Fans attending matches will be able to enjoy two balcony bars, club seats, loge boxes, and perks such as USB ports in their seats. Overwatch League Commissioner Nate Nanzer, has stated that teams will begin hosting home and away matches in 2020, with home matches played in their home cities. This leads one to believe that we should expect more announcements from other teams to reveal plans for upcoming home arenas. In the mean time teams will continue to play in the Los Angeles Blizzard Arena.